Janmashtami is the joyful celebration of Lord Krishna's birth. This day is observed to celebrate the appearance of Lord Krishna himself on the earth. 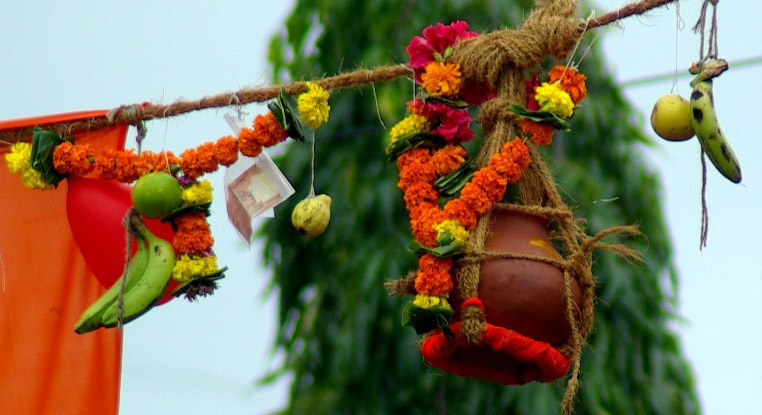 It is one of the most revered religious festivals of Hindus in India. 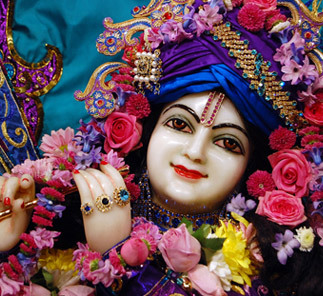 Lord Krishna is considered to have a unique personality for; he reciprocates his devotees who show him love and devotion in an exceptional way. He is believed to be the manifestation of the most mischievous but the most adorable son, the most trustworthy friend and the most passionate lover. Major celebrations of Krishna Janmashtami takes place at midnight as it is believed that Lord Krishna is said to have made his divine appearance in that hour of the day. Fasting, Bhajans, pujas and many other rituals mark the celebrations of Krishna Janmashtami in India. Celebration of Janmashtami, birth of the famous Lord Krishna includes a number of ceremonies like, Raslila, Jhankis (tableaux) etc..
Janmashtami: A Celebration of Lord Krishna′s Earthy Appearance! Janmashtami is the holy day of celebration as it′s the day that commemorates the earthly appearance of Krishna that is the eighth avatar or incarnation of Lord Vishnu.